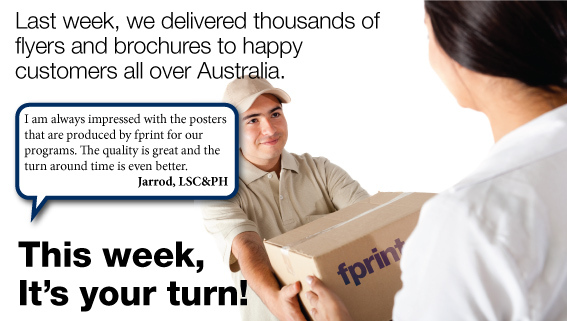 We have created hundreds of happy customers all over Australia, from small businesses to big corporates, marketers, artists, retailers, charities and sporting clubs, companies and people we have been supplying printing and design services to for over ten years. Here's what our active customers have to say about our friendly service, product quality, delivery time-frame and what it's like to work with the fprint team when you need your project printed. 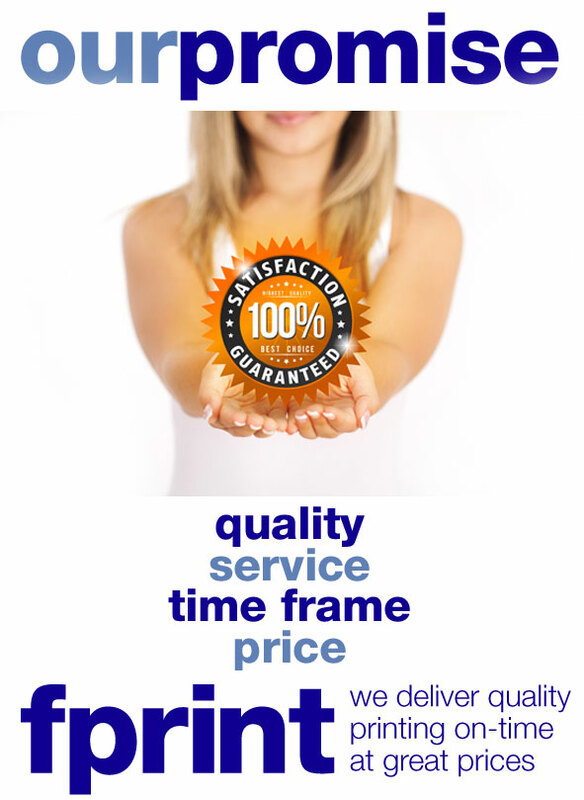 "As always, fprint delivered the high quality job promptly and reasonably priced. Thanks again". The posters look incredible - I don't think I could be happier with them: both the print and the design. I wanted to check, we had 41 boxes of posters delivered - is the extra box just a freebie? “I just wanted to thank you for the postcards that arrived today, great quality and large quantity as well! So good, thanks very much. I'm glad I've finally found a decent printer, I'll be recommending you to my colleagues”. quick turn-around and quality of the finished product”. “Even with a small job I found the team at fprint helpful and friendly. The end product was way better than I could ever have imagined”. “Thank you soo much for getting the tabs and covers printed for us on such short notice. “We picked up the flyers today and they looked faaaaaantastic! Thanks so much for your generosity”. for arranging the content, and Lena, for your methodical approach with all those amendments. Will look forward to working with you on the Awards booklet in January”. “Thanks guys, I’ve got the catalogues and they look fantastic. Thanks so much for all your work on these”. Auskick work – everything worked out well and NAB were very happy, cheers, Katie”. “fprint always deliver us great brochures same day, no fuss. Thanks fprint for all our trade show printing, sorry we always order at the last minute. Big thanks to Ty and Alan for this weeks urgent order”. “Thanks for getting our business cards done so quickly. Fprint setup and printed our new business cards inside 24hrs, so we picked them up on the way through to the trade show/conference that we needed them for. Thank you fprint”.